The company celebrates the arrival of its newest solution architect. San Francisco, Calif., August 9, 2018. — For years, SweetRush has followed a path that is unique in the industry: Forgoing a sales department, the company has instead invested in developing a team of highly qualified Solution Architects. These consummate experts are the first people clients encounter at SweetRush, and their main focus is proposing creative solutions to solve business challenges. Recently, that team increased its strength with the addition of Caitlin Graves. 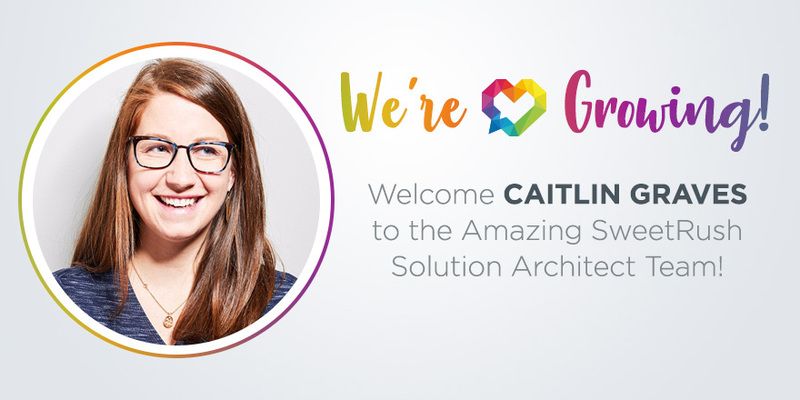 Caitlin joins SweetRush with a strong background in marketing, sales, and project management. Her Learning and Development (L&D) experience began at Allen Interactions, where she partnered with thought leaders and strategists to launch their outreach and education platforms. She then joined LearningLens, a learning solutions and change management start-up in Minneapolis, to oversee client development and engagement. With the inclusion of Caitlin, SweetRush strengthens its one-of-a-kind approach to up-front consulting and business development. With its dynamic team of Solution Architects, SweetRush gives clients the opportunity to collaborate with a group of high-performing, business-savvy L&D experts. Reach out to her through her LinkedIn profile. SweetRush’s focus on team culture and mastery of performance improvement is reflected in loyal clients, a near-zero turnover of teammates, a 17-year track record of success, and a remarkable portfolio. Our work with clients has earned us gold awards from our peers and high ranking on the top training-industry lists.